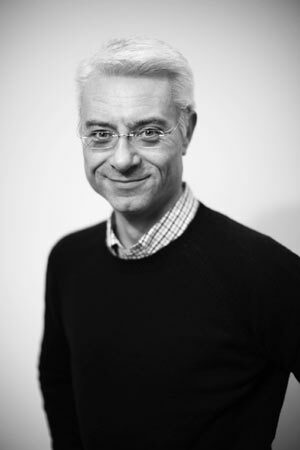 Phil Male is currently CEO at UK2 Group, one of the world’s largest hosting companies, and also a respected guest speaker on the University of Cambridge Judge Business School’s advanced leadership programme. Here, he offers an insight into the talks he gives to seasoned business executives on social media in the financial world. 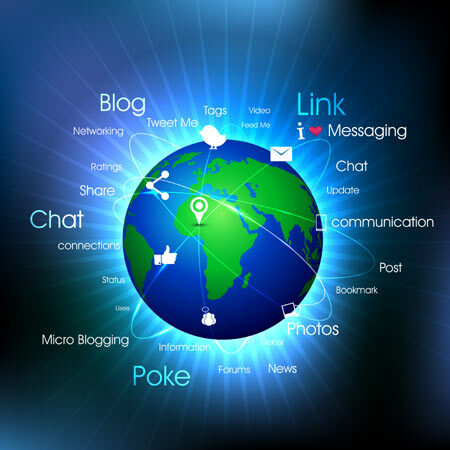 Social media has taken the world by storm over the past decade. Facebook, which is generally considered to be the “grandfather” of social media, was only founded 11 years ago, YouTube the next year and Twitter two years later. The usage numbers for social media are staggering. There are now 284 million Twitter users and 332 million LinkedIn users. However, Facebook dwarfs them both, having passed the one billion user mark last year. In addition, one billion people visit YouTube every month. With numbers like this, it’s not surprising that organisations across all industries have rushed to develop strategies for how they can capitalise on social media as a marketing and customer communication tool. But what about financial services? What kind of job are financial organisations doing when it comes to using social media as a marketing tool? There are unique challenges for financial organisations when it comes to using social media as a part of their marketing and customer communication strategies. Chief among these are compliance concerns, security risks and regulatory restrictions. However, these challenges should not keep financial organisations from implementing strategies for using social media as a marketing, sales and customer service tool. The potential benefits for financial organisations of using social media in this way are numerous. For example, customers that interact with their bank using social media are 12 per cent more likely to be mass affluent and 18 per cent more likely to be emerging affluent, according to Gallup. These statistics essentially mean that customers using social media are highly likely to be among the most valuable financial customers. Therefore, forward-thinking financial organisations are formulating strategies now for how they will incorporate social media into their strategic objectives going forward in the 21st century. Financial organisations can use social media in several different ways. One, of course, is as a sales and marketing tool. More financial customers of all ages, from Millennials to Matures, are using social media networks to seek out information on financial organisations before deciding which ones they want to do business with. As a result, they are shaping brand perceptions through posts, comments and “likes” in ways that many financial organisations aren’t even aware of. This makes it critical that financial organisations be proactive, instead of reactive, in managing their social media presence. But managing comments and likes on social platforms is just the tip of the iceberg when it comes to using social media as a sales and marketing tool. Progressive financial organisations are going beyond just using social media as a customer engagement tool to engage in Social Media 2.0, or collecting and using data from social media to gain insights that can help with sales and marketing. For example, such data can help financial organisations better determine which financial products and services their customers want. It can also help pinpoint which social networks are the most effective platforms to use for placing targeted messages and adverts. And by carefully monitoring customers’ and prospects’ comments and posts on social platforms, financial organisations can gain actionable intelligence that gives them a better handle on their product preferences and enables them to plan their marketing strategies (both online and offline) accordingly. In addition to sales and marketing, progressive financial organisations are using social media as a key component of their customer service initiatives. It’s not surprising why: Research has indicated that social media is the most cost-effective channel for delivering customer service. For example, handing a customer service request via social media costs less than £1, while handling the same request via the phone costs around £3.50. In fact, almost half of all social media users say they have used it to obtain customer service. And they expect the organisations they interact with to respond to their social media customer service inquiries quickly: 32 per cent expect a reply within 30 minutes and 42 per cent within an hour. Which platforms are financial organisations using the most in order to interact with their customers via social media? According to Forbes.com, the winner is Twitter, with 92 per cent of financial service firms tracked maintaining a Twitter presence. American Express is the most active social media financial service firm, it states, maintaining three separate Twitter accounts and five separate Facebook pages, with 400,000 followers. AVIVA, Barclays, Charles Schwab and Chase are other financial organisations that have a strong social media presence. Getting a handle on their existing social media presence. The first step is to determine your organisation’s current social media footprint. For many organisations, especially large ones, it’s much bigger than they realise, with potentially dozens of social media accounts spread out among many different platforms. Creating an over-arching, organisation-wide social media strategy. This strategic plan should dictate how social media will be used across the entire organisation and bring together disparate silos and departments that might currently be operating independently of each other. In addition to sales and marketing, this should also include compliance, IT, human resources and customer service, among other departments. Setting social media objectives and identifying metrics in order to measure them. Just like all organisational initiatives, there should be goals and objectives attached to social media efforts. And they need to be tangible, trackable and measurable so you can see how your organisation is doing in meeting them. Educating employees who will be responsible for implementing the social media strategy. Employees shouldn’t be held accountable for devising and implementing the social strategy if they haven’t been properly trained. Social media is becoming a field of study in its own right, so invest in adequate education to equip employees with the tools and education they will need to be successful. If the past decade is any indication, social media is not only here to stay, but it will increasingly become the go-to channel for financial customers as they make decisions about which financial organisations to do business with. This makes it critical that financial organisations devise and implement a broad strategy for social media success.